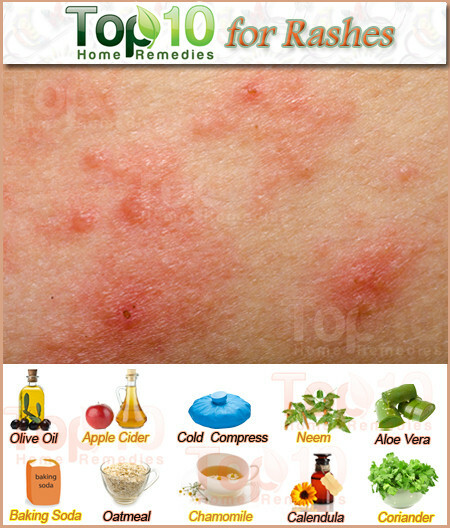 Skin rashes are characterized by red and itchy skin, often accompanied by small bumps or other changes in the skin’s color, appearance or texture. 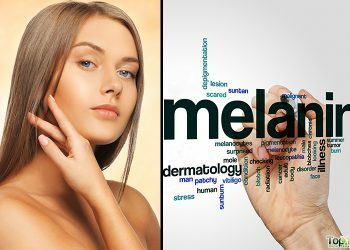 They may occur on any part of the body or be widely distributed on large portions of skin. 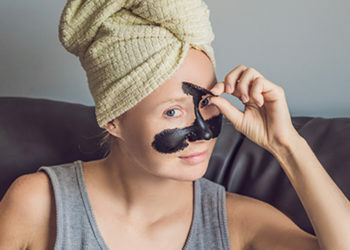 This minor yet irritating problem is frequently caused by issues like eczema, psoriasis, allergies, insect bites, mites, acne, excessive sweating, or contact with certain poisonous plants like poison ivy or oak. Soaps, detergents, shampoos or cosmetics that do not suit your skin can also lead to rashes. Rashes may be a symptom of certain fungal, bacterial, or viral infections as well. If you have a rash that does not improve or go away within a few days, you should consult a doctor. 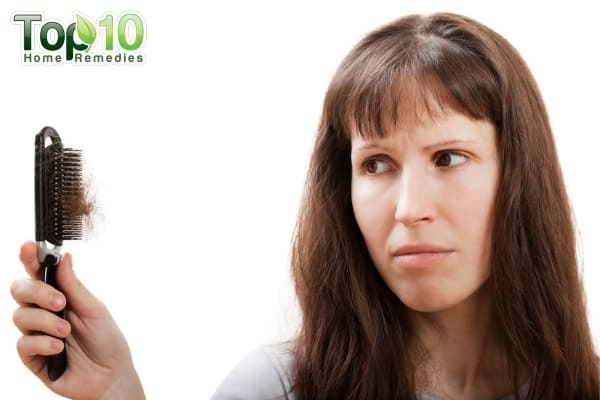 Here are the top 10 home remedies for rashes. Extra-virgin olive oil works as a great skin moisturizer, facilitates healing and promotes skin renewal as it is rich in vitamin E and antioxidants. It will also soothe your skin and reduce itching. Simply rub extra-virgin olive oil or a combination of equal parts of olive oil and honey on your rash a few times daily until it heals completely. Alternatively, you can add a little turmeric powder to some olive oil and apply it two or three times a day for a few days. Packed with antibacterial and anti-inflammatory properties, turmeric soothes rashes and relieves itching. In addition to olive oil, castor oil and coconut oil help heal rashes naturally. A combination of vitamin E oil and cod liver oil is another popular remedy. Baking soda helps dry out skin rashes. Plus, it relieves the itching and inflammation associated with rashes. Add one part baking soda to three parts water. Apply the mixture on the affected area. Leave it on for a few minutes before rinsing it off. Do this once daily for a few days. You can also mix baking soda with some coconut oil to make a paste and apply it on your rash. Leave it on for about five minutes and then rinse it off. Repeat this once or twice daily until you see improvement. Note: Do not leave baking soda on your skin for too long because it may cause further irritation. Oatmeal is great for alleviating skin irritation and inflammation due to its soothing and anti-inflammatory properties. It is excellent for rashes caused by poison ivy, eczema, sunburn, chicken pox and allergies. Grind oatmeal in a blender, food processor or coffee grinder. Mix one cup of finely ground oatmeal in warm bath water. Soak in it for at least 15 or 20 minutes. Do this daily until the rash is gone. Alternatively, combine one-half cup of oatmeal, one-quarter cup of milk powder and two teaspoons of honey. Put this mixture in a muslin cloth, tie it strongly with a string, ribbon or rubber band, and place it in a bath tub filled with warm water. Soak in the milky bath water for at least 15 minutes. Finally pat dry and moisturize your skin. Repeat daily for a few days. For rashes on your face, apply a thick paste of equal amounts of oatmeal and plain yogurt mixed with a little honey. Leave it on for about half an hour before washing it off. Do this daily until you see improvement. Due to its anti-inflammatory, emollient, antibacterial and antifungal properties, aloe vera is excellent for treating a number of skin ailments including rashes. Apart from healing, it also soothes the skin, relieves itching and reduces redness. Leave it on for at least 20 minutes, and then rinse it off. Do this at least three times a day until the rash clears. If you do not have fresh aloe vera gel, you can buy aloe vera gel or extract. A cold compress can be beneficial in reducing rashes, especially those caused by heat, insect bites, poison ivy and shingles. It helps ease itching, swelling and inflammation, and can be particularly useful if a rash begins to develop into blisters. Put ice cubes in a sealed plastic bag and place it on the affected area for a few minutes. Repeat a few times daily for a few days. Alternatively, you can simply soak a clean washcloth in ice-cold water and place it on the rash for about 10 minutes. Note: Do not put ice cubes directly on the skin. Raw and organic apple cider vinegar is another excellent home remedy to treat skin rashes and calm the itching. Moreover, its acetic acid content helps fight skin infections that could be causing or aggravating the problem. Leave it on for a few minutes, and then remove the cotton ball. Do this several times a day for a few days or until your rash clears. Note: If apple cider vinegar causes irritation, try diluting it with water before applying it. If the irritation persists, then try another remedy. 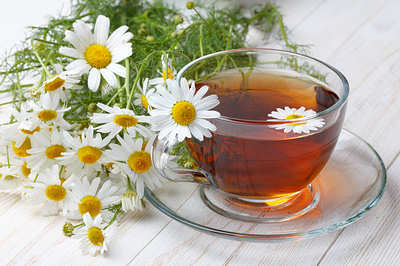 Chamomile is another useful remedy for rashes. It soothes the skin, relieves itching, reduces inflammation and promotes healing due to its anti-irritant and anti-inflammatory properties. Plus, it has antibacterial, antifungal and antiviral effects. Soak a clean washcloth in chamomile tea and place it on the affected area as a compress. Leave it on for 10 to 15 minutes. Do this at least two or three times a day for a few days. You can also use chamomile essential oil by diluting a couple of drops in two teaspoons of coconut oil or another carrier oil. Apply it a few times daily until the rash is gone. Because of its anti-inflammatory, analgesic, anti-irritant, antiviral, antifungal and antibacterial properties, neem (also known as Indian lilac or margosa) is highly effective in treating a number of skin ailments including eczema, scabies, rashes, acne, psoriasis and various infections. It also contains antioxidants that defend the skin against aging and rejuvenate skin cells. Simmer a handful of neem leaves in water for 15 to 20 minutes. Strain the solution and allow it to cool. Soak a cotton ball in the solution and place it on the affected area for at least 10 minutes. Do this a couple of times daily for a few days. 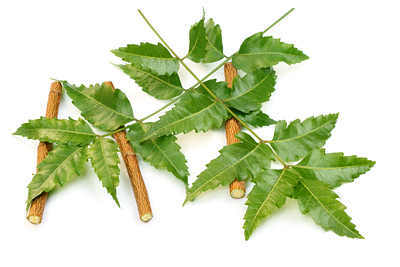 You can also use neem products, such as neem leaf extract, soap, cream, or lotion. When applying neem oil, make sure to dilute it with carrier oil or water as it is too strong to use alone. 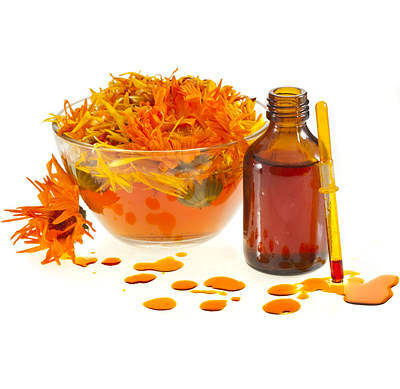 Calendula is an excellent herb for soothing skin irritations, rashes, ulcers, eczema, dry skin, wounds and bruises due to its anti-inflammatory, astringent, antifungal, antiviral and antibacterial properties. Apply calendula oil on the affected area and leave it on for a few hours. Do this at least twice daily until the rash heals completely. Calendula-infused olive oil can also be used in the same way. To make this oil, pour a generous amount of olive oil over calendula flowers (let them wilt for about 12 hours to remove moisture) in an uncovered container and place it in a double boiler. Heat it over low heat (temperature should stay around 100 degrees Fahrenheit) for three to five hours, strain the oil and store it in a glass jar. Alternatively, add a few drops of calendula oil to bath water and soak in it for 15 minutes, or use calendula tea as a compress. You can also apply calendula cream, lotion, or ointment a few times a day until the rash clears. Coriander is considered an effective Ayurvedic remedy for rashes and itchy skin, owing to its anti-irritant, soothing, anti-inflammatory and antiseptic properties. Its inviting scent is also calming and relaxing. 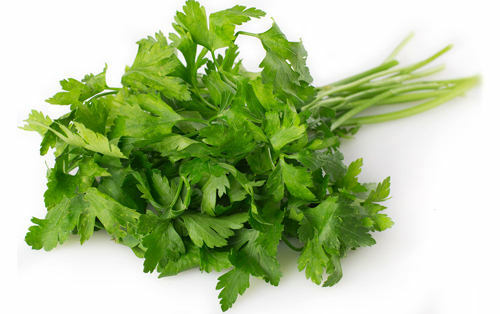 Boil one teaspoon of coriander seeds in a cup of water. Drink this tea once daily for a few days until the rash heals completely. You can also drink a cup of fresh coriander juice for a few days. 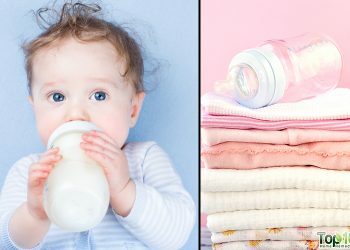 In addition to these home remedies, follow additional measures like leaving the affected area exposed to air whenever possible, avoiding exposure to direct sunlight, and cleaning the rash with warm or tepid water but restricting the use of soaps. Plus, make sure you do not scratch the problem area or you can end up making it worse. If your rash does not heal within a few days, consult a doctor. Will plain yogurt help with inflammation of your face also. Stay positive. This will help! I tried honey and olive oil to relieve my flare up on my face and all i would say is it is the best remedy i have ever used. I will not be using any ointments or creams ever again. Why because I have had eczema all my life and have tried everything going except natural remedies. Totally gobsmacked and I have paid a fortune. The remedy costs no more than a fiver and less than a prescription. My Granddaughter came down with a nasty rash that is very itchy and painful. I picked up Aloa Vera, Benadryl for kids, apple cider viniger, oatmeal and baking powder. Going to try the Aloa Vera first, ideas? Thanks! I’ll give all these a try, and hope to have my hand rash healed really soon. i also like ur remedies hurrahhh!!! Thank you so very much! for your excellent advice. I have an open skin infection and I am going to fallow your advice. Bad chemical burn & rash from hair dye? Just did a oat meal mask dried it out a bit and helped the itching. Now I’m using coconut oil to heal. Jesuse & God can’t say I didn’t call on them 1st?? I was reminded of the ointment that Jesus made for the blind man….lol and got up and made my own. WOW Thanks! Just tried olive oil,waiting for results ?…hope I see the results soon.Thanks for the comments and advices,I wasnt sure which home remedy to try first. *If unable to find Kokum, use Badiya (Star Anise). If allergic to Sour (Khatta) items, starts with Badiya and after couple of weeks you can start taking Kokum. Make all above mentioned ingredients in powder form and take 100grams each and mix it together. You can adjust quantity according to requirement. Take one medium spoon three times a day for at least two weeks and then you will notice real benefits. 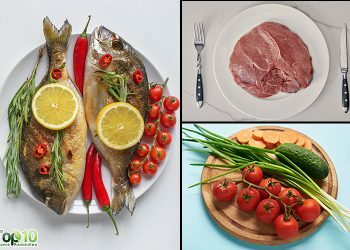 These ingredients helps tune-in overly reacting immune system. You will love the taste of this mixer and you might want to consume more than required. While taking more, if you find it little hot (hungry feeling) in your tummy, take some bananas, it will cool down digestion systems. My wife had really bad Rush and it was coming after eating pretty much anything. Take couple of steroid dose at start but then realised it is only temporary solution and had very serious long term bad reactions. So instead did a little bit of research and finally managed to find this Ayurvedic recipe from India. My big Thanks to Ayrveda & peoples of India who still holds the knowledge of this ancient way of treatment called AYURVEDA. I tried olive oil overnight it works. also tried petroleum jelly Vaseline is good as well. My rashes are on my arms. they went from tiny bumps that itched to large red rashes. People look at me and are afarid I am contagious. Olive oil and honey had an ammost instant halt to iching. It left my skin a little bit sticky. I will try the rest of the remedies later, but for now it’s good not to itch.